Today’s Feature Friday post is from Brianna who has built a seven figure business while traveling. 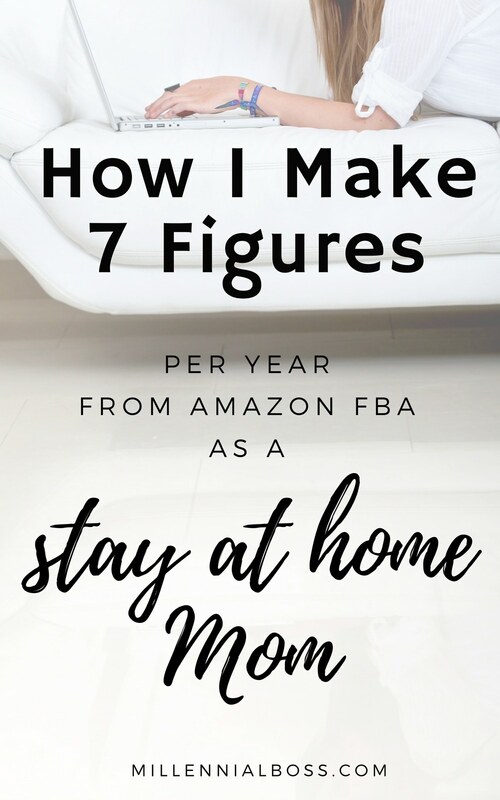 The majority of her income comes from selling on Amazon FBA. Her story is crazy inspiring and has me thinking of what is possible for my side hustle selling physical products on Etsy. I’m launching a podcast soon and definitely will ask Brianna to come on and share her story. Oh, and if you want to be featured on the next Feature Friday, sign up here. 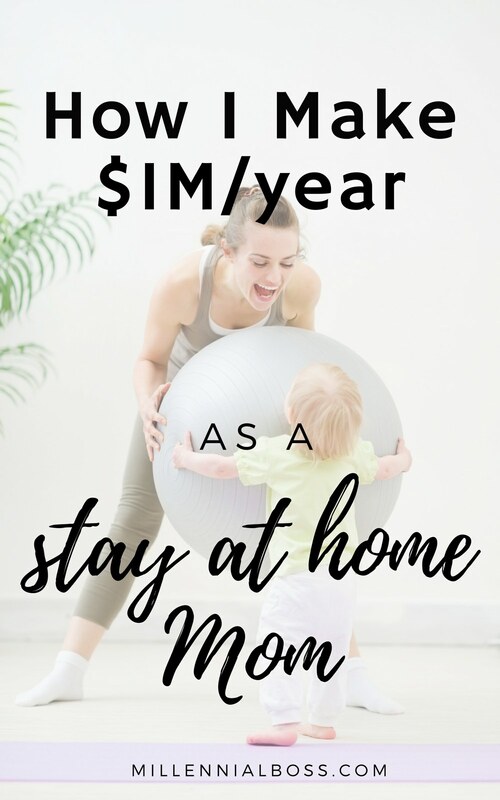 I am a full-time SAHM/WAHM – Wife – Mom – Lady Boss – Entrepreneurial Wolf – Coach – Mentor – Side Hustler – Author – CEO – Free Bird – Marketer – Badass at Hustling from Home. I started out on a journey 7 years ago to pursue a laptop lifestyle full-time. What did you do before you started your own business? Prior to starting my businesses I was a full-time middle school science teacher and assistant principal. After 8 years in education I took a leave of absence to “try out” the laptop lifestyle and a month or so in, I recognized I’d never go back to my job. Who were some influencers in your decision to be an entrepreneur? I’m definitely from a line of entrepreneurs. Both sets of grandparents as well as my parents were all business owners so I was the child hustling door to door with a wagon of goods for sale (much to the dismay of my friends who just wanted to do a talent show). So when I became a teacher, that entrepreneur side was still kept alive by my eBay side hustle. Eventually I just wanted more of an entrepreneurial lifestyle, freedom of time, etc. and took the plunge to full entrepreneurship. How did you prepare to take the leap both financially and in your business? Please reference what you saved, if you learned new skills, if you moved, etc. First and foremost, I did not leave my “real job” to pursue my laptop lifestyle until I was overly confident that I could pay my bills with my collection of side hustles. I also created a safety net by taking a leave of absence in case I chose to return to my job. It’s important to really learn what you’ll need to know and refine your processes prior to leaving the stability of your job. I also read, watched and listened to every piece of content I could get my hands on. While I was in tremendous debt at the time, I found plenty of free content to teach myself. If you quit your job, were you already making money on the side before you decided to quit your job? As per my previous response, I left teaching when I began to dread the monotony of my day and the work restrictions under which you legally have to work under (what you dress, how many hours you work, how much you make, when you have a break, etc). I was also feeling suffocated and stifled professionally and I really had a burning passion for tapping into my entrepreneurial side that needed to be nurtured. Who else works on your business with you? Did you hire anyone to help? When did you decide to bring that person on and how did you find them? At this point in time, I’m CEO with my husband and mother as full-time employees. I also co-own several other businesses related to teaching others how to create a lifestyle of freedom through selling on Amazon FBA – so behind each company we have anywhere from 30-40 virtual assistants that we employ at any given time that help us in various capacities (from sourcing products to sell on Amazon to creating t-shirt designs and product descriptions for them to use on the Merch by Amazon platform). Can you share any financial details about your business? I maintain multiple income streams so as to not have all my eggs in one basket. Across all I should gross over $1 Million – the majority of which (close to 3/4) comes from my business as a 3rd party retailer on Amazon FBA and the other 1/4 coming from all of my other online businesses and ventures. What was your worst day so far as an entrepreneur and what was your best day? What happened on those days? My worst day as an entrepreneur was when I learned that my business was going to undergo a federal audit. That worst day repeated itself several years later when I then underwent a state tax audit (really? what are the chances). While I knew I was very organized, detailed and honest with my records and tax filings it’s still a nerve wracking process to go through. Thankfully both auditors will helpful, down to Earth human beings that turned the process into a great learning opportunity. My best day was when I realized that my husband could close his auto body shop, my mom could retire and not only could I more then cover the bills but I could work side by side with my family, have more freedom of time and most importantly we could all spend more quality time with our 4 year old daughter. What is one small “trick” or piece of advice that you have learned about reaching customers or making sales? Please be specific and provide something actionable for us. One small trick or piece of advice I’ve learned for reaching customers or making sales is to be authentic, honest and transparent and to make the effort to connect with customers or followers by celebrating similarities and overwhelming them with free valuable content. Give us two truths and a lie about yourself so we can get to know you better personally! I’m an avid snowmobiler & fourwheeler rider, I’m a former national medalist in figure skating, and I played basketball in college. Learn more about Brianna’s story on on Facebook. Feature Friday is a weekly interview with inspiring people who have paid off their student loan debt or are entrepreneurs. If you’d like to be Featured on the next Feature Friday, sign up here. What an inspiring woman! It’s nice to know that it really is possible to quit your day job! Thank you for your kinds words Heather!! You can absolutely do it! I look so forward to being able to do this one day. Very inspiring. Thank you so much Benita!! Such an awesome and inspirational story! As a SAHMomprenuer, I can totally vouch for the tips that are in this article. Since leaving my corporate job to start my web design and social media boost online businesses I not only make more money, but have a better quality of life. Great post! Thank you so much @inveronicascorner !!! I am pretty sure that I want to be just like her when I grow up! In all seriousness though, this is so inspiring! Great interview! Thank you so much for your kind words DNN!!! I’d be more than happy to participate in an interview. Just let me know the details!